Another week, another Tour event, and the last event of the Sunshine Slate. Unfortunately, I haven’t been able to convince the rest of the golf media that “Florida Swing” is the dumbest nickname for a stretch of tournaments in Florida. Always next year to preach the goodness of the Sunshine Slate. Here’s some music, followed by things to watch for this week. The song’s called “Never Seen You Get So Low” which is what everyone is hoping their golfing buddies will be saying about your score after the round this weekend. Of the 5 players in the top 10 in the world playing this week, none hail from the USA. 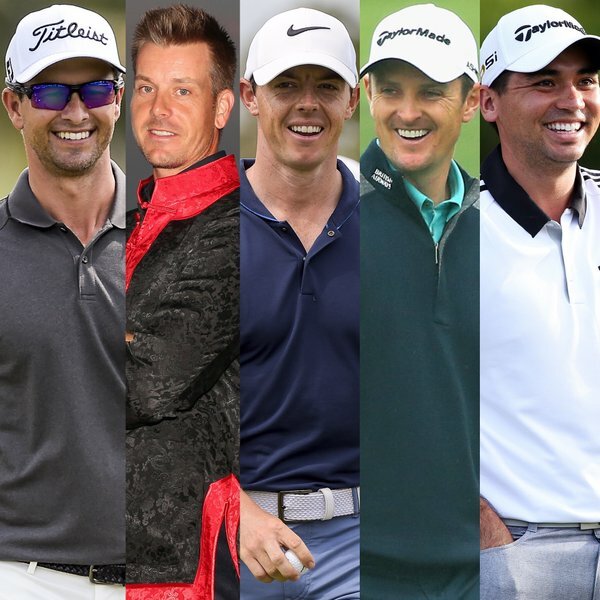 Adam “Wears really good looking Uniqlo polos every time he plays” Scott, looking for his 3rd win in last three starts, world number 2 Rory “I wish I could have a decent final round” McIlroy, world number 3 Jason “When did Rory and I switch spots in OWGR?” Day, Henrik “What’s a driver?” Stenson, and Justin “Loves using emojis on twitter” Rose all headline the field. On another note, the PGA Tour’s preview of the event forgets that Jason Day is playing! I tweeted at them but no change has been made. Let’s see if they notice and change that “Field Watch” section before for the event starts. I downloaded this amazing picture of the five players just in case the PGA Tour’s tweet featuring the group gets deleted in the future. We need to preserve the amazingness of Stenson’s outfit. Arnold Palmer is old. Like 86 years old, turns out. I knew he was up there compared to Jack Nicklaus, but 86 is old old. And according to comments made by his grandson Sam Saunders, he’s rumored to have a limited role. Based on some quotes in that article linked above, seems like Arnie might not be in the best of shape. In some of the pictures on the API’s twitter account, he seems pretty skinny. But it looks like he’ll have the energy to be out on the Bay Hill grounds this week. As long as he can be there at the trophy presentation, and to greet the winner as he comes off the 18th green that’d be more than enough. If you’ve read any more than two of these previews, you’ll know that Tiger Woods is the best golfer of all time, and I’ll never miss an opportunity to talk about him. Luckily, because he was so good, every mention of him and his accomplishments is a legit addition to the conversation. Adam Scott won those two events in a row last few weeks, and everyone was commenting how he has the most wins of anyone under 40, with that number now being 13 titles. If Tiger played the API, and only the API, for the entirety of his career, he’d still have 62% of the wins Scott has in all PGA tournaments. If you can’t or don’t want to do math, this percentage means Tiger’s won 8 APIs in his career. 8. There were 14 APInvs contested from 2000 to 2013. Tiger won eight of those, and other people won six times. Just put this clip on replay if you ever want to get pumped up. Unfortunately for everyone, TDubs is still on the sidelines, having to resort to hitting balls on a simulator, chipping and putting in his backyard, and at the opening ceremonies of golf courses he designed. Just thinking now, I can’t imagine what it’s going to be like when (I’m not using the word ‘if’ here) Tiger wins another PGA Tour event. I’m totally getting goosebumps thinking about it now. And I’m only partially ashamed. I’ll give Matt Every a shoutout here for being the two time defending champ of the API, something especially tough to do with an invitational level field. The most impressive part about Matt Every winning twice in a row is his complete lack of good finishes in pretty much every other event on the PGA Tour schedule. Check out his career stats. He’s had 24 top 10 finishes in the rest of his career! Over 6 years on tour, that’s 4 top tens a year. But hey, he’s got two victories. Everyone thought it was a fluke when he won in 2014, and people still think it’s a fluke that he won last year. If he wins this year, I might finally admit it wasn’t a fluke, and that he just really really really likes this course. It’s an interesting deal from the perspective of distinguishing a specific tournament from the pack. With the addition of WGC events, and the FedEx Cup playoffs, “normal” tournaments are looking for something to make them stand out from the pack. Either way, I bet Matt Every is pumped at that sweet deal. Since the API is an invitational (that’s what the I stands for after all, it’s not the APO), the tournament gets to invite some players to the event. Considering amateur Lee McCoy played exceptionally well last week at the Valspar, the couple amateurs in the field this week deserve a quick mention. First, Bryson DeChambeau, who isn’t playing college golf anymore and is projected to turn pro after the Masters, will tee it up via invite from winning the US Amateur last year. And second amateur in the field is Stanford’s Maverick McNealy, who is playing by virtue of his participation in the Palmer Cup. Expect both of these names to be around professional golf for a long time. The 3rd and 11th holes are the same. First time I played the course I got confused when I came to 11 and had to convince myself I didn’t go to the wrong tee box, or didn’t enter some mysterious time warp caused by the excessive humidity. Because everyone knows humidity causes time warps. Check out the course description page from the API’s website. Even they admit that the holes are the same! 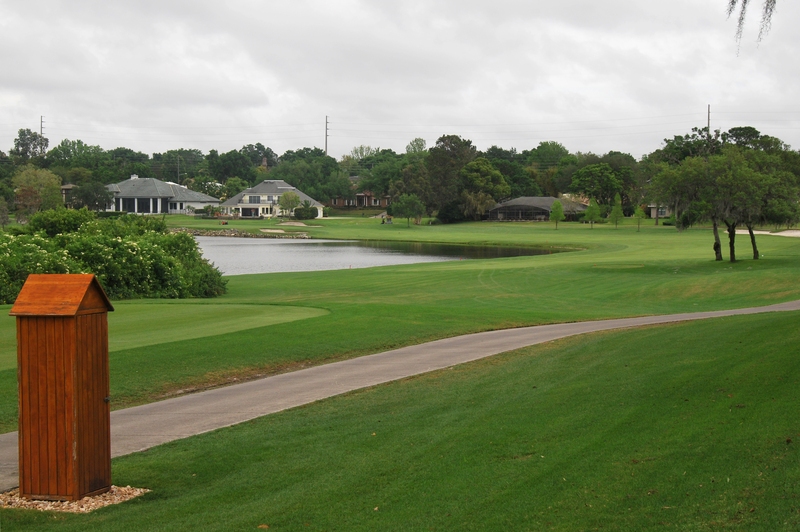 The third hole is a 434-yard par 4 that makes a dogleg left around the largest lake on the course, requiring a careful tee shot. Players must know where to place their drives in order to set up the approach to a green that sits at water’s edge over a natural rock wall. Players who misread the wind at No. 2 and didn’t take note will be playing into a crosswind that will force the ball left and into the lake. No. 11 is similar in design to the third hole. 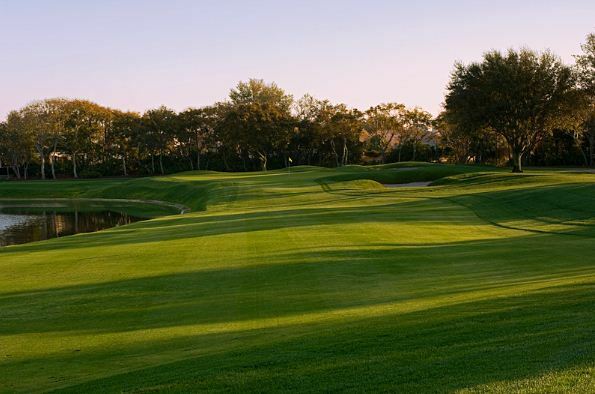 The only difference on the 438-yard par 4 is a slightly more open target area off the tee. The diagonally situated green brings the lake into play on left pin placements and the bunkers into play on right hole locations. Best I could find is just the approach shot.